Benefits of social media marketing for business are numerous. If you think that social media is created for people who want to communicate, you are lag much behind the society. Nowadays, social media has become a very effective and cheap marketing strategy for business. 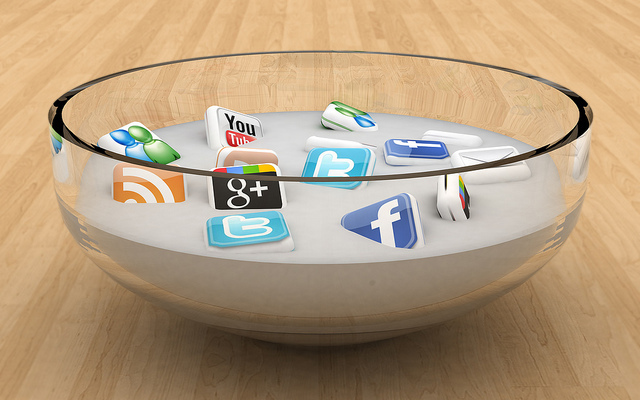 More and more companies select social media platforms for their marketing needs. If you have never heard of a successful business representation in the social media, I will create a list of top five details you should know. Business social media marketing has opened a new opportunities for the companies. New customers have been found, new markets opened, and even new niches identified. Observing the emergence of the business marketing in social media, I can create a list of the top points you need to know. There are a lot of different aspects you should know about the effectiveness of social media for business. Social media increases brand recognition. Having created a company profile online and being socially active, you are sure to raise the recognition of you brand and, therefore, the sales. More opportunities. The companies with social media representation have much more opportunities in comparison to their competitors, who do not apply their activity online. Less expenses on marketing. The companies, which use social media for company representation, spend less money on advertising and marketing in general because social media platforms and users do it for free. Increased customer experience. The companies, which offer their services on the social media platforms, have a better experience with customers. Marketing communication is a serious aspect in company performance and it has become an easier issue in social media. Better search engine rankings. If you have an online representation in one of the social media platforms, you are sure to be seen in the first lines in the search list in comparison with those, who are not present online. Therefore, social media statistics shows that the companies, which have become socially active, have also raised their sales. Company image is also an important factor, which rises with the increased cases of company representation in social media. Much research has been conducted in the modern world related to the social media in business. The companies have understood the modern tendency and do all possible to increase their activity online. Social platforms are the best ways for business development in the modern world. The faster you understand it, the higher profit you may receive from using social media statistics.